Over the years, the Gentry team has experienced almost every problem possible when it comes to driving Bugattis over short and long distances. This knowledge is put to good use and helps to ensure that vehicles serviced by Gentry Restorations are reliable and durable. This experience and knowledge has come from providing service and support crews at rallies throughout the world. 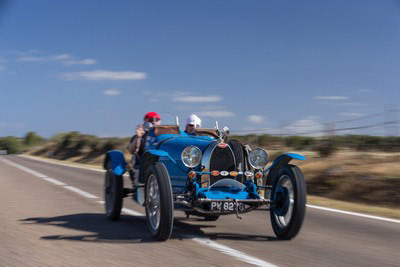 Rallies are strongly supported by Bugatti owners and the Gentry team is more than happy to carry out inspections and make repairs to a client’s vehicle in preparation for these most exciting and often adventurous events. Modern vehicles need to adhere to maintenance schedules and the same is true of vintage vehicles. With a labour rate of just £55.00 per hour, Gentry Restorations provides all the routine service requirements to keep your Bugatti in tip-top condition. With so much experience as Bugatti specialists, the company has developed products and procedures that ensures the protection, reliability and durability of the vehicles. Performance can be improved too, all of these qualities increase the overall appeal of these most precious vehicles, without compromising their authenticity, build quality or value. For example, metallic clutches are still used as original equipment but with the addition of modern friction material. 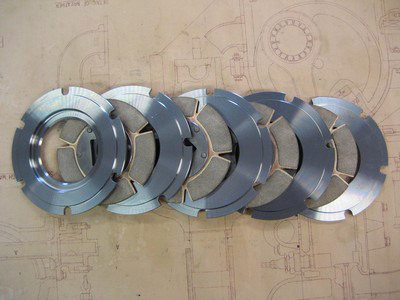 Paper oil filter elements have been produced that fit inside the original Bugatti housings. Modern brake linings are used to improve braking performance but don't prematurely wear the brake drums on the car. Lubricants have improved immensely since these vintage cars were first produced and help to prolong the service life of all moving parts. For owners who prefer to service and repair their own cars, help and advice is given freely and willingly over the phone. It’s all part of the Gentry service. The team is also happy to provide a full independent check and inspection of the client’s workmanship if requested. 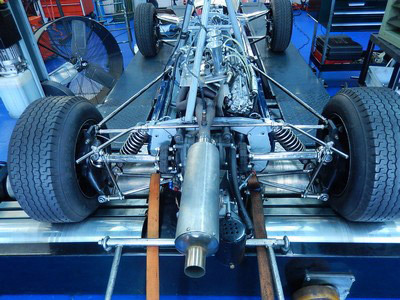 To check the engine power and fine tune a vehicle’s performance, Gentry Restorations has its own, independent rolling road, power test equipment. This can be hired by the hour and negates the need for labour-intensive, time-consuming road tests. Gentry Restorations is, and always will be, a specialist in the vintage Bugatti marque. However, the expertise and skills of the team are transferable and the company welcomes servicing and repairs on all makes of vintage vehicles. No matter what level of work is undertaken, all clients can rest assured that it will be carried out by people with a passion for excellence. For all service enquiries, feel free to contact the Gentry team for sound and professional advice.